What is an Electric Motor Controller? The DC electric motor controller (speed controller) interprets the battery to the electric motor. As the throttle is increased, the motor controller output power increases the speed and/or torque. Some controllers can also put some energy back into the battery called Regenerative Breaking (XCT and NCT Models). 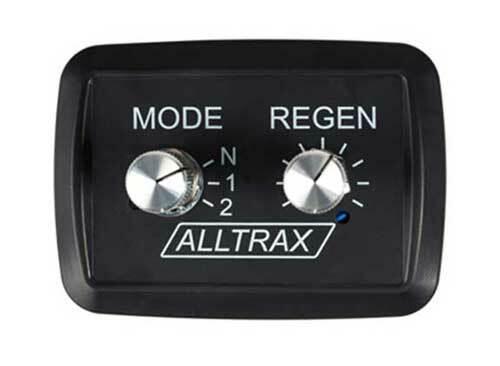 The ALLTRAX electric motor controller works similar to a throttle and the automotive gasoline carburetor. 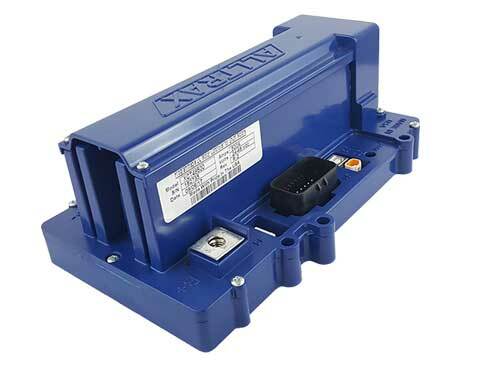 Over 3,000,000 Alltrax Electric Motor Controllers have shipped. Each unit reduces thousands of gas emissions each year. Alltrax XCT,NCT,SR, and SPM controllers can be programmed on your bench using a USB printer cable and our free Alltrax Toolkit software. The controller will power up via the USB cable so no external power supplies are needed. Special transportation using electric vehicles has tripled over the last three years. 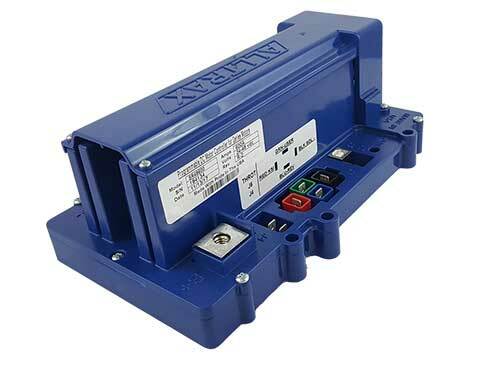 ALLTRAX provides performance controllers to several major customers who require more torque and flexible features for a demanding application. Experimental EV research is an important part of the ALLTRAX past, present and future. Several schools and college EV challenges and races have been won powered by ALLTRAX controllers. The industrial material handling OEM and special Fork-Lift design applications. 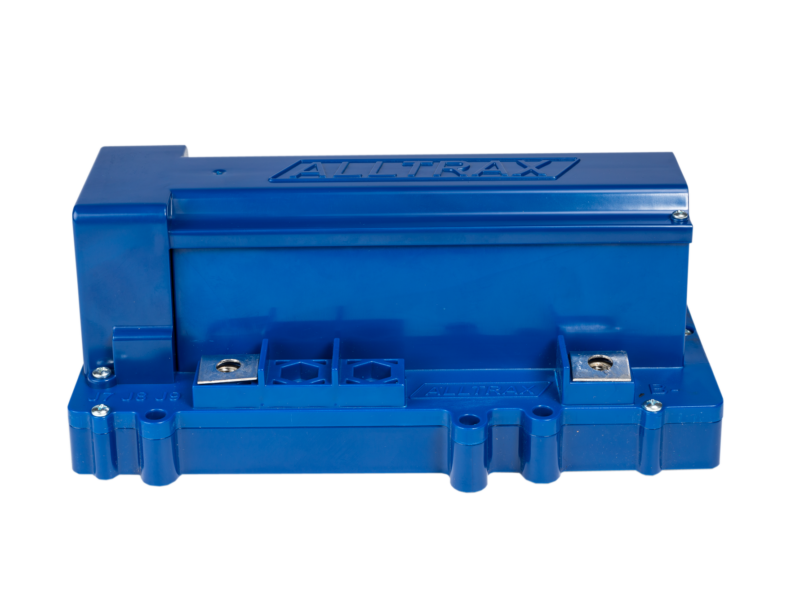 ALLTRAX controllers’ thermal and power performance are better than most manufactures’ requirements. OEM and golf fleet applications need a reliable and cost effective controller. ALLTRAX provides flexible tools and adapters for many golf car, ground keeping and multi-person cars. Driven by high oil prices, the traditional EV market has expanded exponentially. From conversions to OEM applications, the motor and controller combinations provide the customer with solutions using proven and viable technologies. 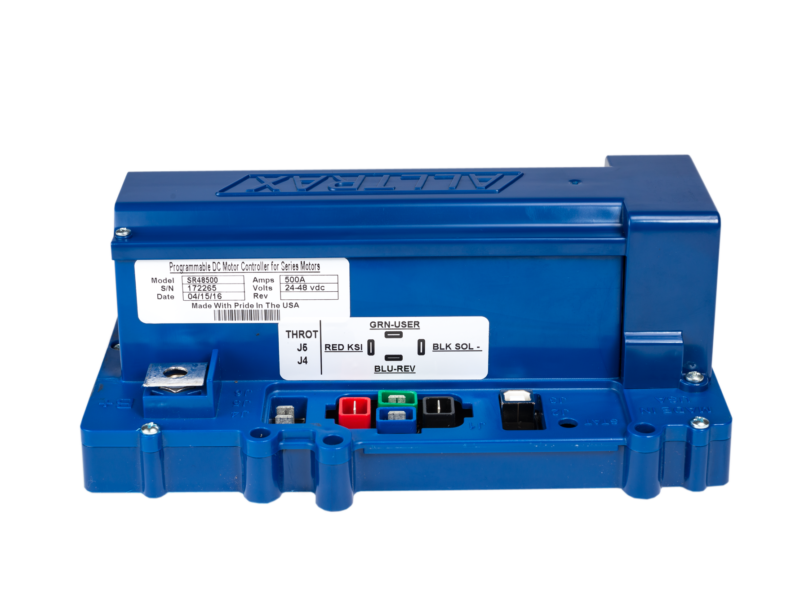 High powered motor controllers to support high horsepower motors for whatever ground you cover, from the hills of Kentucky, to the sand dunes of Oregon and California. Speed, torque, or a combination of both, to go anywhere! Environmental concerns have caused the marine market to turn to electric drive systems. Advancements in motor and battery technology are making it a more cost effective alternative to hydrocarbon driven boats and various other watercraft. Various other EV systems components.